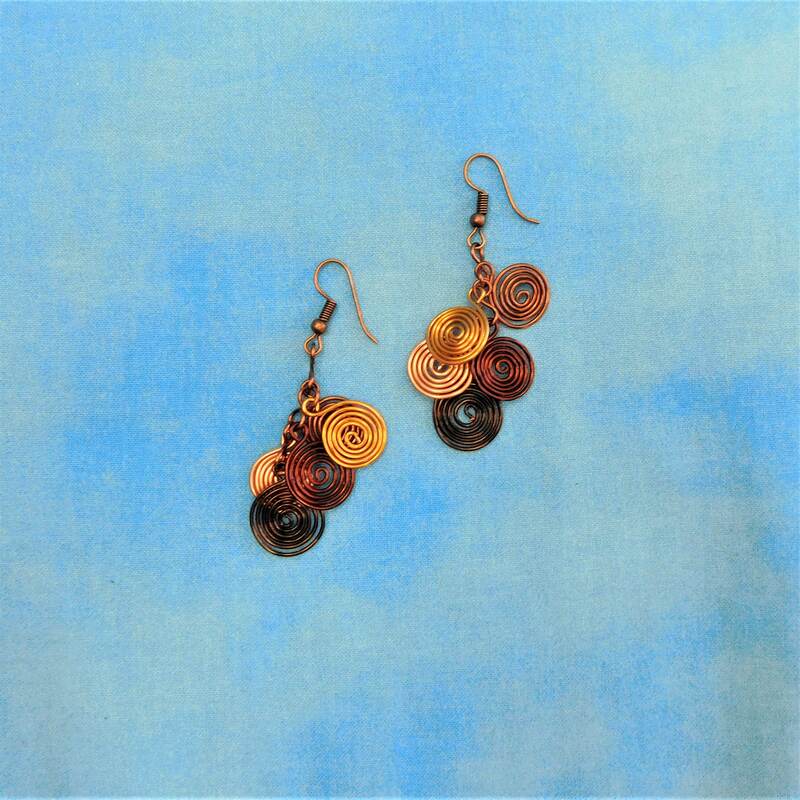 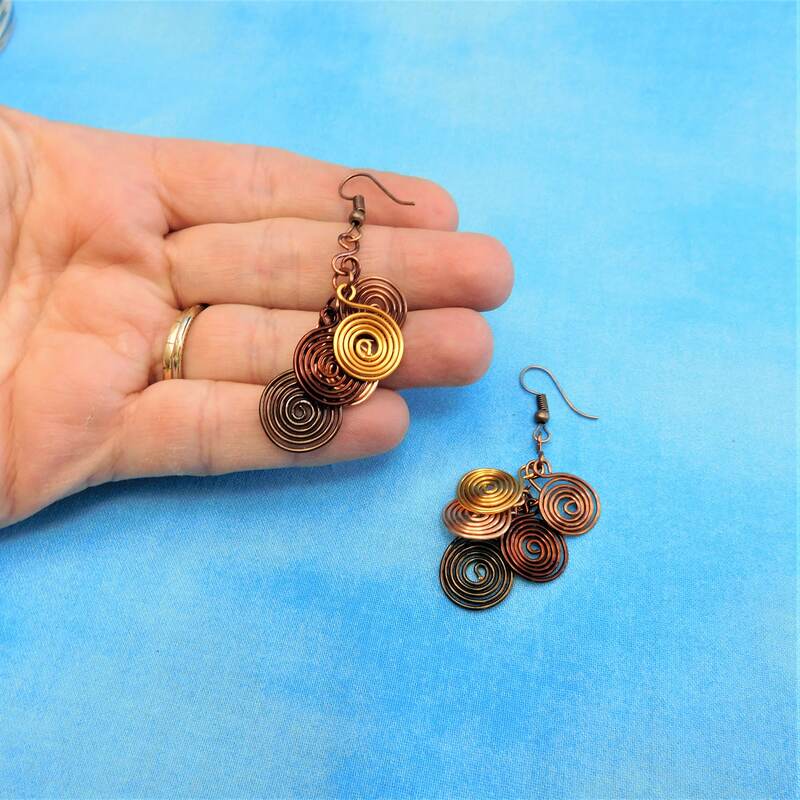 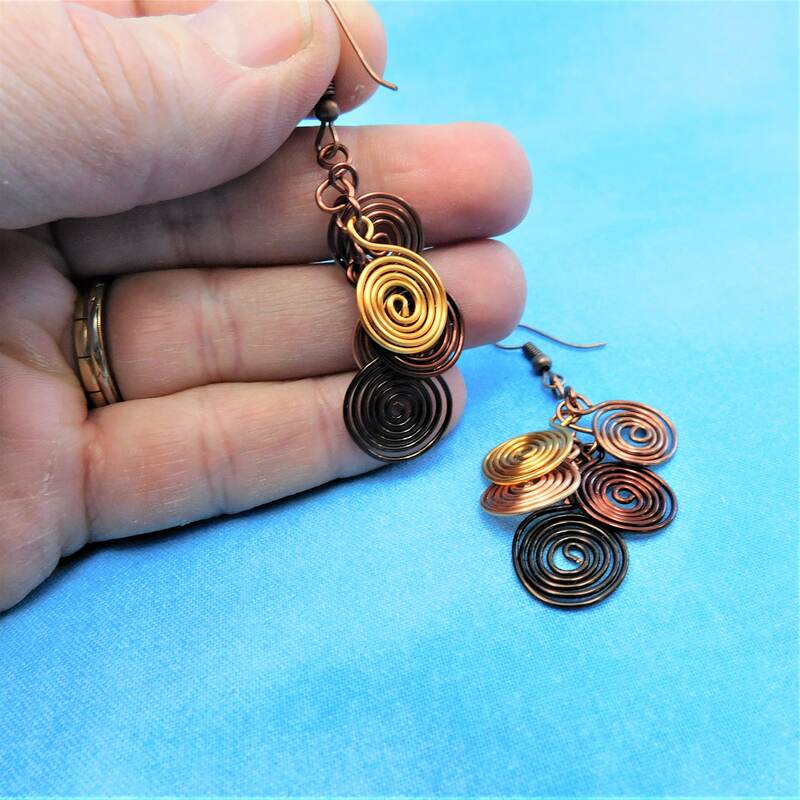 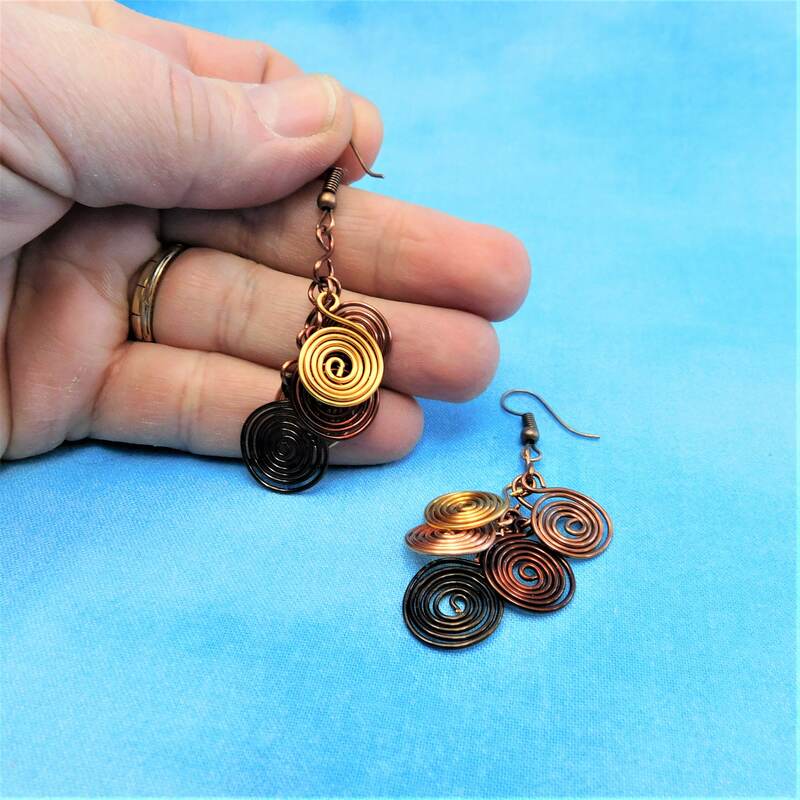 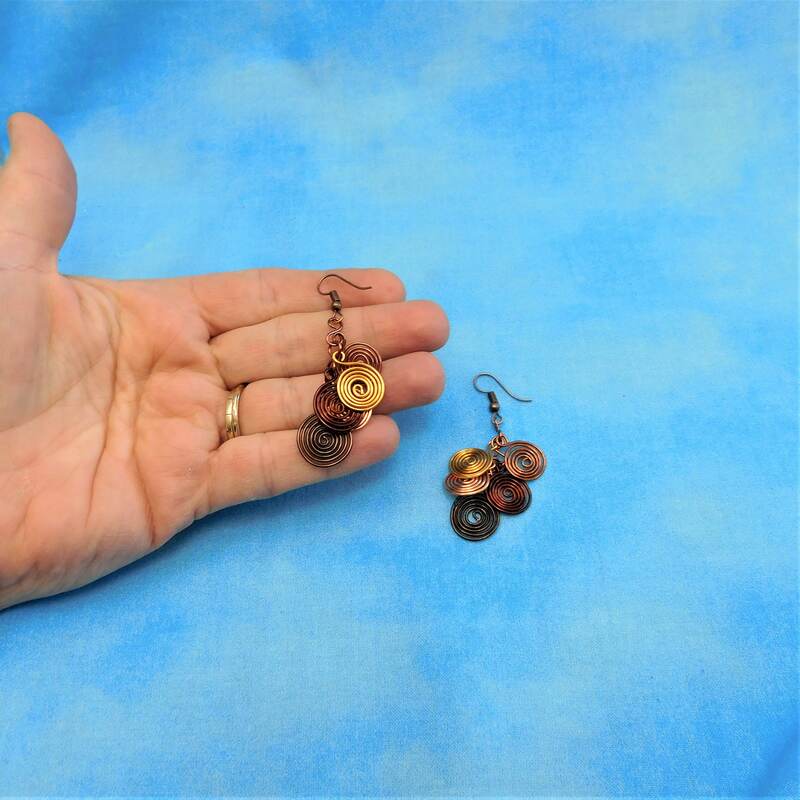 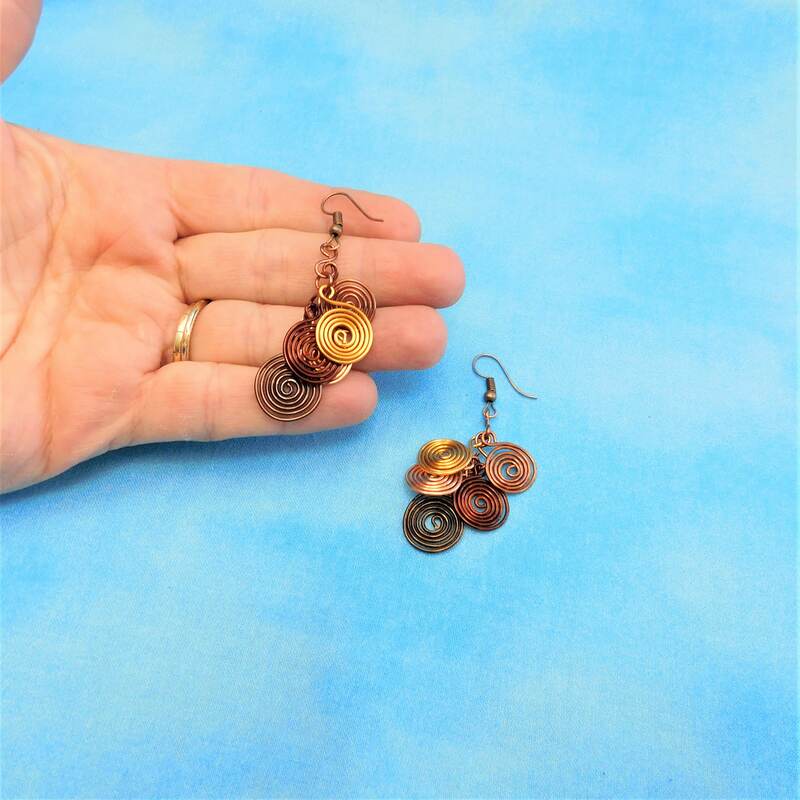 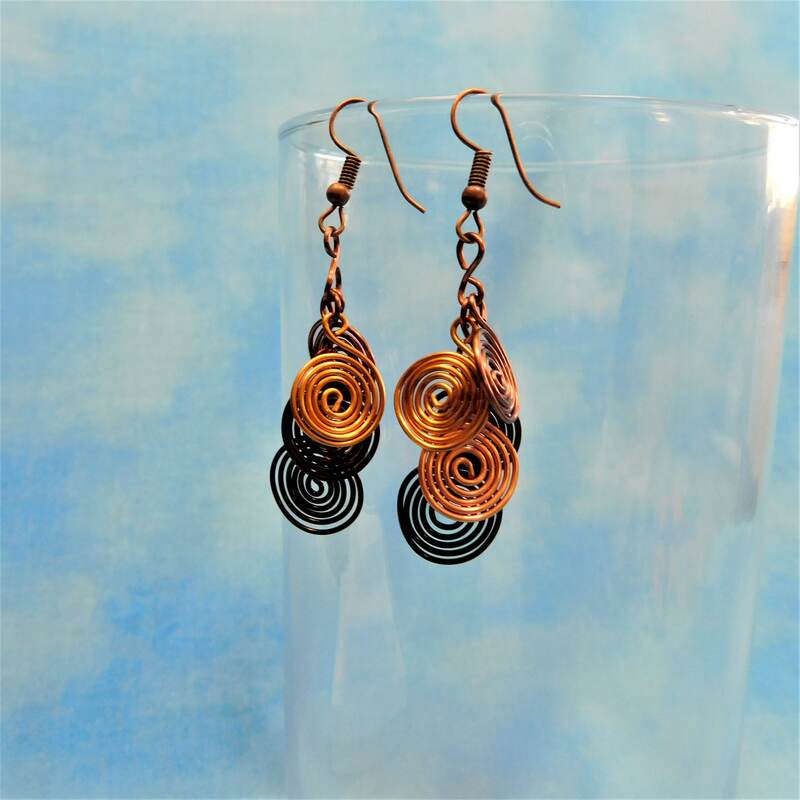 These fun to wear spiral dangles are made from non tarnish copper wire and hang 1 1/2 inches long from fish hook style ear wires. 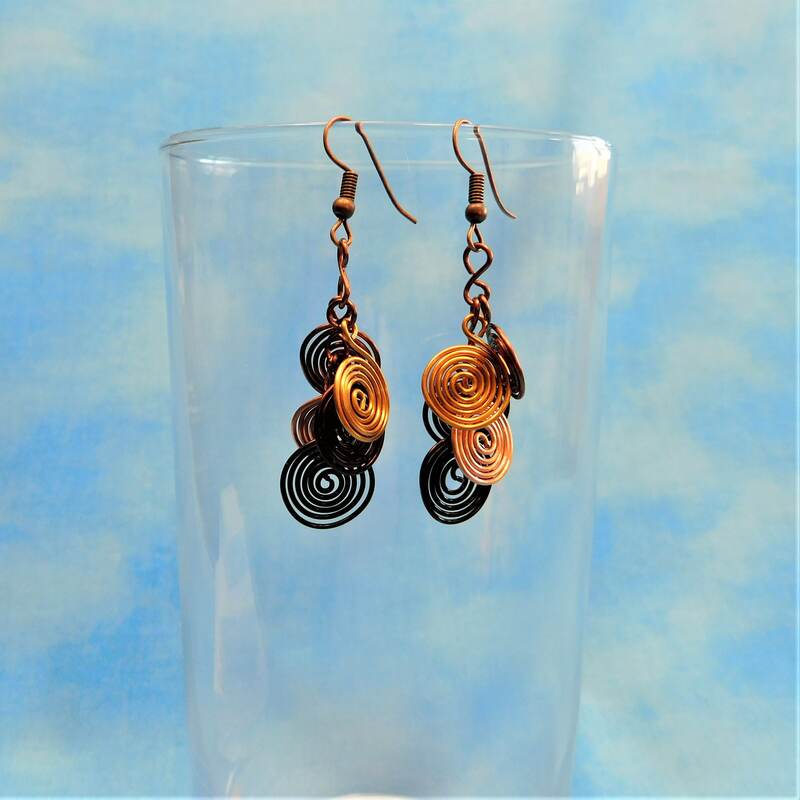 They are light weight and comfortable to wear. 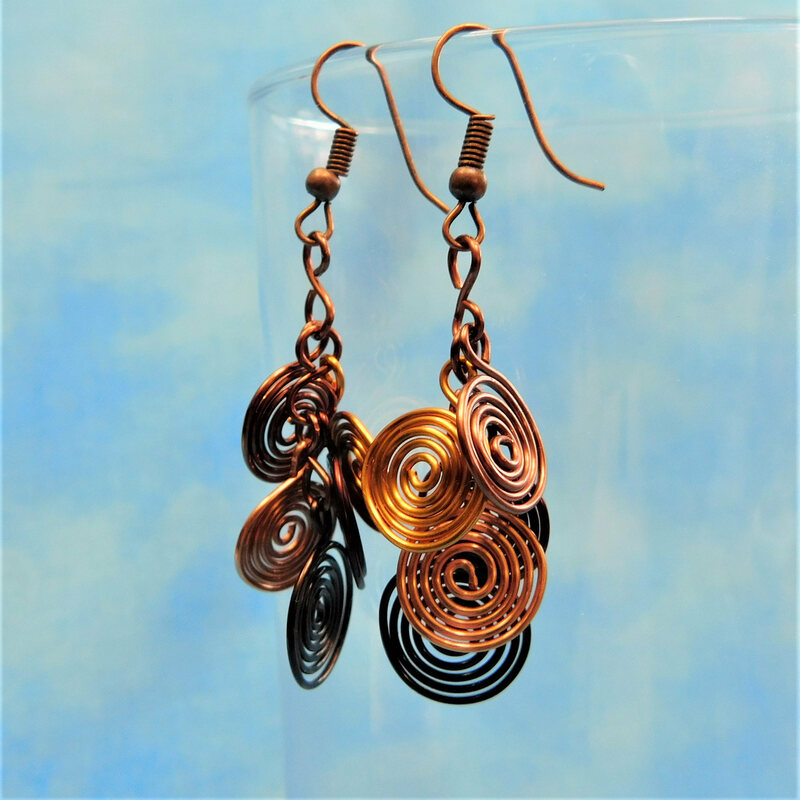 They are the kind of earrings that will remain classically stylish indefinitely. 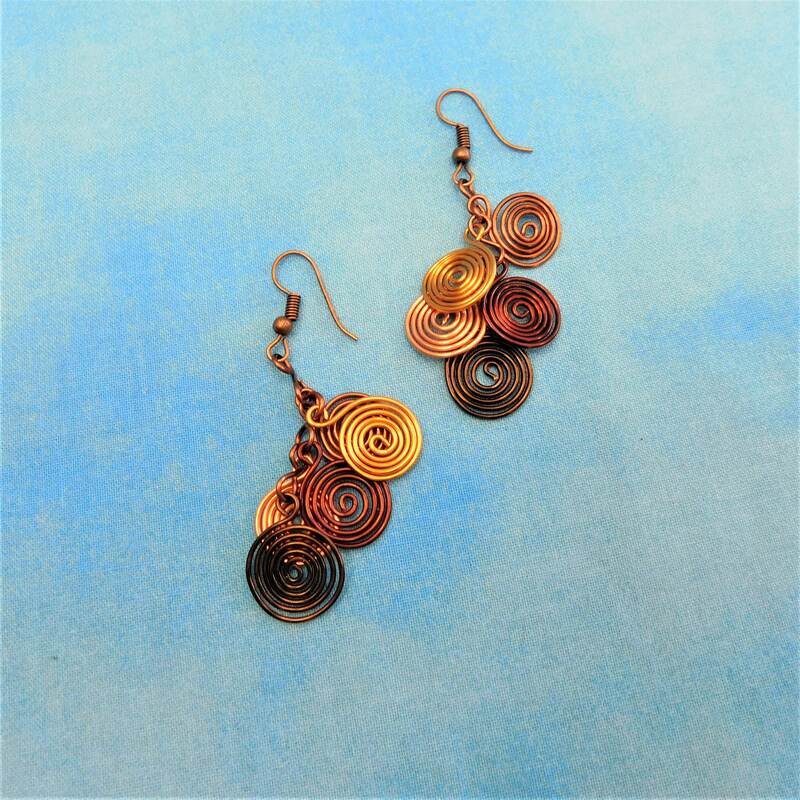 The five shades of copper coordinate with many styles and colors of clothing and suit many personalities.